While many BFA programs also have BA programs, we will be focusing on schools that ONLY offer BA in Theatre programs. Here are our picks for the top 25 for this year. Highlights: Program features multiple concentrations such as a dual major in both education and theatre. Dual Major in Education and Theatre is best for students interested in a career teaching in primary or secondary schools. Students take a range of Theatre courses as well as all the required courses for receiving teacher certification, including the Senior Learning Community in Education that involves a semester of student teaching. Students will have an adviser in both areas. 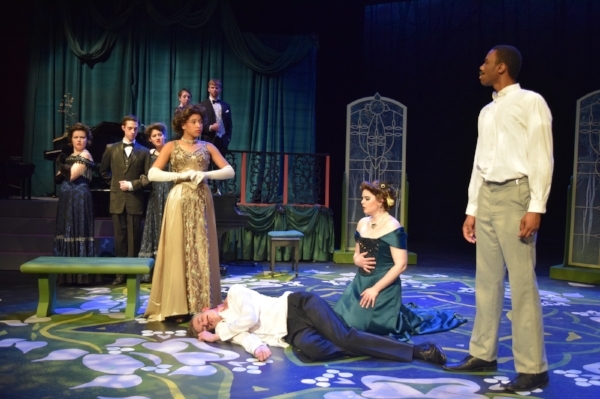 Highlight: Theatre majors at Biola have the opportunity to participate in dramatic productions through Theatre 21. This 94-seat performing arts venue can act as a launch pad for students' creative and professional careers, as it is the primary home of Biola's theatre program. Highlight: Required coursework includes "First Theatre in Human Culture". This class studies the first theatres and extant play scripts of selected human cultures. Included in this study will be representative cultures located in Africa, the Americas, Asia, and Europe. Focus on research and writing, including one research-based essay and an annotated bibliography. Highlight: The department typically produces eight (8) theatre and dance productions per year at two on-campus venues: the Annie Russell Theatre, a 377-seat proscenium theatre listed on the National Registry of Historic Places, and a flexible black box theatre space. Highlight: TheatreFest is an annual Sacred Heart University event that allows students to explore their creativity within various roles in the theatre. Student written one-act plays or musicals are developed through initial feedback given from program faculty and peers. After rewriting, selected shows chose a student director, stage manager and actors to perform their show. After another round of performances and rewrites, remaining shows are given a chance to be fully produced with a full set, costumes, lights, sound and technical crew. These stages are integral to the creative process and to students understanding all of the elements into creating a full production. Highlight: Facilities include the Campus Theatre in historic downtown Milledgeville. It recently underwent renovations to provide retail space for the Box Office Books and new academic and performance spaces for the theatre department, including a black box theatre with flexible seating, rehearsal and classroom space, a design lab and offices. The new facilities allow students to perform in an arena setting while working with state of the art technology in light and sound. Highlight: Outstanding facilities include the Harlan Adams Theatre. The continental auditorium plan seats about 450. The stage is forty feet wide with ample wing space and a spacious apron that can be raised and lowered to create various stage levels or a large orchestra pit. The Adams Theatre also boasts an advanced computer lighting board, excellent sound recording and playback capabilities, a fully trapped stage floor and a full fly house with newly renovated counterweight system and rigging. The theatre stage has direct access to the shop area. Highlight: The University’s program provides four theoretical and practical concentrations: acting, performance technology, dance and applied theatre — all informed by a Marianist tradition of community engagement and social justice. With cocurricular, interdisciplinary and experiential learning at the heart of the curriculum, performers and technicians learn by doing, serving and creating. Highlight: Excellent faculty roster includes Robyn Hunt. A member of Actor’s Equity, Hunt has acted professionally in the US, Canada, Europe and Japan. She worked for over a decade with Tadashi Suzuki, performed in Tokyo and Kanazawa in Opium, a joint Pacific Performance Project/Theatre Group Tao production under the direction of Kenji Suzuki, studied and performed in Kyoto under the direction of Shogo Ohta, and between 1994 and 2000 performed frequently at the Actor's Theatre of Louisville, under the direction of Jon Jory. Hunt was co-founder and first artistic director of the San Diego Public Theatre and co-heads the Pacific Performance Project/east, now based in Columbia, SC. Highlight: Elective coursework includes "A Night at the Theater". Field trips to the varied and rich theatrical fare in the metropolitan area, including Broadway, Off-Broadway and regional theater. Discussions explore various aspects of the plays and production. Students are responsible for transportation to and from theatre location. Tickets are underwritten by grants from the Peter Jay Sharp Foundation. 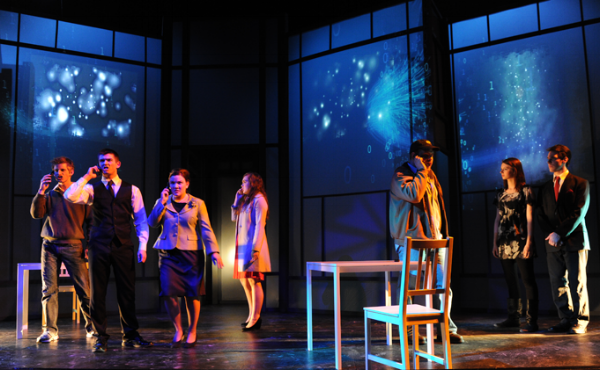 Highlight: EMU Theatre produces six large-scale faculty or guest artists directed and designed Mainstage productions annually and two small-scale experimental Second Stage productions which are directed by faculty or graduate students. 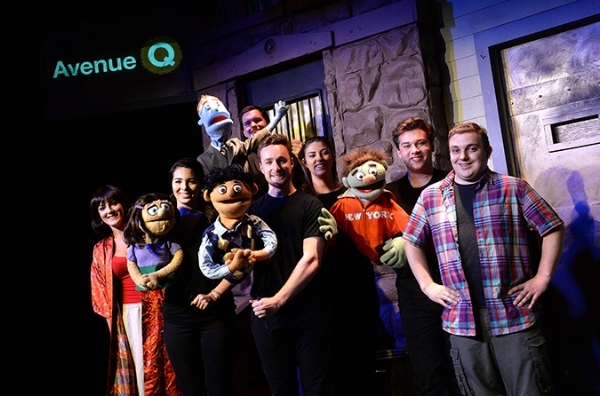 They offer three annual touring companies: Applied Drama/Theatre for the Young, 6 Figures Playback Theatre, and Encore Musical Theatre as well as other programs that connect EMU faculty and students with the community at large. Highlight: The Department of Theatre and Dance regularly hosts visiting professionals from the entertainment industry to teach workshops and to share their talents and experiences with our students. During one academic year alone, the Department of Theatre hosted ten guest artists who conducted over 60 classes and workshops with students. The program also offers an exclusive and permanent relationship with the Chesapeake Shakespeare Company in Baltimore, Maryland where students work during the summer. This partnership has been around since 2013, and over 10 of our students have been offered summer employment either as performers or in technical roles. Highlight: The department is part of the Engaged Scholarship Program at Brown University. The program offers undergraduate students the opportunity to study performance theory while simultaneously working with communities outside of the university to create and investigate socially engaged performance that tackles complex social issues. Highlight: The CSULB Theatre Department offers the option of a Technical Theatre program which includes the design categories of Scenery, Lighting, and Costume and Makeup. Local internships have taken place at institutions including Disney, LA Opera, South Coast Repertory, International City Theatre, Long Beach Playhouse, The Chance Theatre, LA Fringe Festival, The Elephant Theatre, The Antaeus Theatre Company, Four Clowns, The Garage Theatre, LA’s Center Theatre Group, Pasadena Playhouse, Casting Companies, Artist Agencies and many more. Highlight: Program offers a concentration in Physical Theatre. This concentration is tailored to students who are interested in physical approaches to theatre. Training ranges from aerial work to contact improvisation to the creation of physical theatre at international arts festivals. Highlight: The Praxis Series offers majors in the Department of Theatre Arts as well as the New Paltz campus community an opportunity to develop, explore and stretch their creativity and skills outside of the Mainstage Production Season. Praxis projects provide unique challenges and opportunities that enhance and expand student experiences, rather than duplicate, those provided by the Mainstage shows. The series is a combination of staged readings and two productions produced with New Paltz Players. This is often a vehicle for student written work, work with a social justice message, work from an underrepresented group, or new work still in development. Often, these projects are directed by guest artists as a way of furthering the experience. Highlight: Brandeis theater faculty are recipients of awards, including the National Endowment of the Humanities Fellowship; the Elliot Norton Award for Outstanding Sound Design; the “Best of Boston Theater 2007” award for “Macbeth”; and the Theodore and Jane Norman Fund for Faculty research and creative arts projects. Students have completed internships at New Repertory Theatre (theater education); Portland Stage Company, Maine (stage management); Barrington Stage Company (technical direction); Waltham Boys and Girls Club (youth theater education); Lost Nation, Vermont (stage management); Trinity Repertory Company, Providence (theater education); and SpeakEasy Stage Company, Boston (general management and production). 8. American University - Washington D.C. Highlight: Core coursework includes "Theatre Matters". This introductory course focuses on theatrical works grappling with issues and injustices in the world and examines ways in which theatre practitioners bring these works to life, substantively contributing to the intellectual persuasion and emotional manipulation of audiences. Highlight: If you're looking for a BA in Theatre in Boston, there is no better choice than Northeastern. Through Northeastern’s famed co-op program, students can discover a variety of creative fields within the theatre – and ways in which theatre training positions them for success in many other creative fields. Through co-op, they can work in Boston and New York City, across the U.S. and internationally. 6. The George Washington University - Washington D.C. Highlight: The top destination for BA theatre students looking to go to our nation's capital. The curriculum focuses on the doing of theatre design, acting, playwriting, directing, and production work along with the study of aesthetic theory, theatre history, and other conceptual and theoretical topics. It is designed to give students a firm grounding in all aspects of theatre, while giving each student the opportunity to focus on a particular aspect of study (e.g. acting, design, dramaturgy), by the end of one’s senior year. Study Abroad opportunities are encouraged, as is the opportunity to do a Senior Honors Thesis, which can have a performance, creative, or scholarly focus. 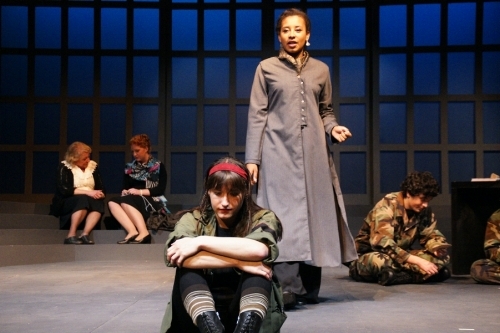 Highlights: Bennington College offers students a thorough grounding in virtually every dimension of theater-making: acting, directing, playwriting, devising, theatre history, dramaturgy and dramatic literature, stage management, and design (set, costume, lights, projection, and sound). Each winter, during Field Work Term, students set up internships and venture out into the world—New York City theaters, L. A. TV studios, not-for-profit theaters, drama festivals abroad, or one of hundreds of other venues. Highlight: Excellent facilities include the Martel Theater. With orchestra seating, side parterres, and a balcony, this inviting space seats 330 people. The Martel has a large proscenium stage, a flyhouse, a fully trapable floor, a 1600 square foot shop, and technologically advanced light and sound systems. The department uses the Martel traditionally for both dramas and musicals, and unconventionally for more novel, sometimes student written, productions. The Martel is a classroom for the study of theater and performance, and as such houses courses and the critical work of making theater. 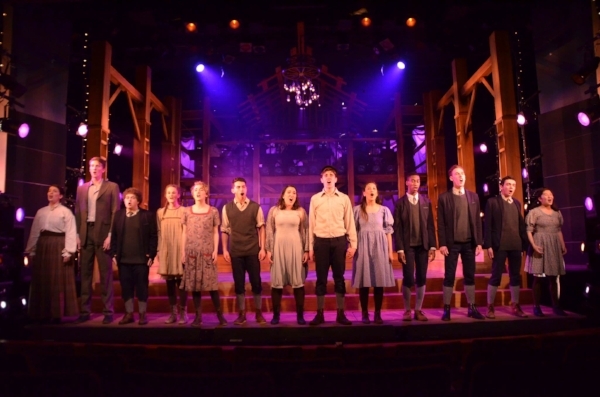 Highlight: A perennial powerhouse in college theatre, Willamette University offers an incredible opportunity for theatre students. 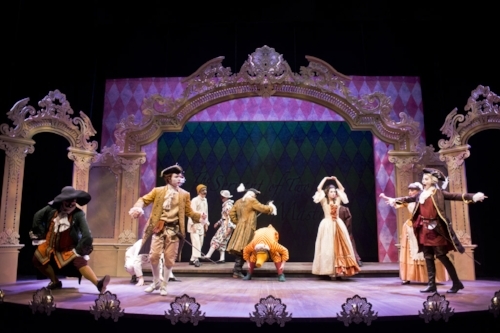 Willamette University Theatre produces three or four main stage plays, one dance concert and various student projects each season. In addition to the permanent faculty, there is a guest artist program, providing students the opportunity to learn from and work closely with theatre artists currently working in the profession. Two or three guest artists each year, in the capacity of actors, directors, designers or choreographers, are invited to take up residency for the duration of a production. During that six week period, the guest artists are also involved in the teaching of classes and workshops. Highlight: Muhlenberg Department of Theatre & Dance has teamed up with Larry Singer Studio to create a study “abroad” semester in New York City for junior and senior theatre majors. The semester includes acting classes with New York-based faculty and extensive opportunities to see world-class performances. The program also includes a full-credit internship, working with one of a wide range of arts organizations — including casting agencies, production companies, publicity agents, and NYC-based news-shows. The program is perfect for upperclassmen with acting concentrations looking for first-hand experience in the City before graduation. Highlight: It might not be a surprise to many that the best BA theatre program in the country is located in the heart of New York CIty at Fordham University. Fordham theatre BA training embraces a company concept with all theatre students participating as members of the Fordham University Theatre Company. With four mainstage shows and up to 20 studio shows each year, students are continually learning by doing. The program features tracks in not only performance and design/technology but also playwriting and directing. In addition to taking a full-year foundation Collaboration course in which students explore collaborative processes and hone critical thinking and communication skills, directors study acting, design, theatre history, text analysis, devised theatre-making, and various approaches to directing play scripts. Alumni include Patricia Clarkson, Taylor Schilling and Denzel Washington. Full Disclosure: Our BA research team consisted of one BA alum, one educator, one casting director, and two admissions professionals. They're associated with the following schools - SUNY Purchase, SCAD, Pace University, Florida State University, and Yale University. To avoid conflict of interest, they did not adjudicate their associated programs.